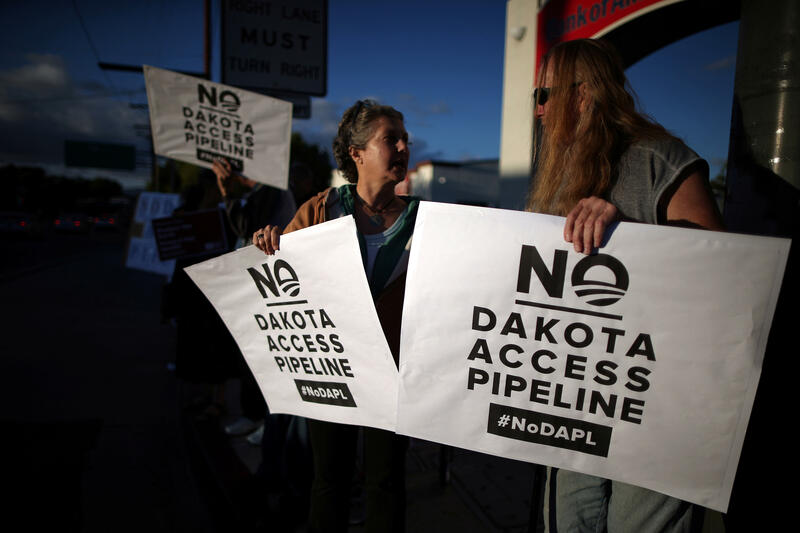 BISMARCK, North Dakota President Obama says the U.S. Army Corps of Engineers is examining whether the four-state Dakota Access oil pipeline can be rerouted in southern North Dakota to alleviate the concerns of American Indians. “As a general rule, my view is that there is a way for us to accommodate sacred lands of Native Americans, and I think that right now the Army Corps is examining whether there are ways to reroute this pipeline,” he said an interview Tuesday. Protests that have included clashes with police and pipeline security also have gone on for several months in North Dakota, where hundreds and at times thousands of people have set up a large camp on corps land. More than 400 protesters have been arrested since August, including “The Fault in Our Stars” actress Shailene Woodley. Earlier in October, she captured most of her encounter with law enforcement on video after streaming two hours of protests on Facebook Live. Woodley’s mother continued taping while her daughter was whisked away by police. Twenty-six others were also arrested. Though no serious injuries have been reported, the protests have, at times, turned violent. As Dakota Access deployed bulldozers to begin construction, video showed police unleashing dogs and using pepper spray to tame and remove the protesters from the site.